The Environment Agency carried out investigations at two separate north east sites leading to the prosecution of Niramax Group Limited. 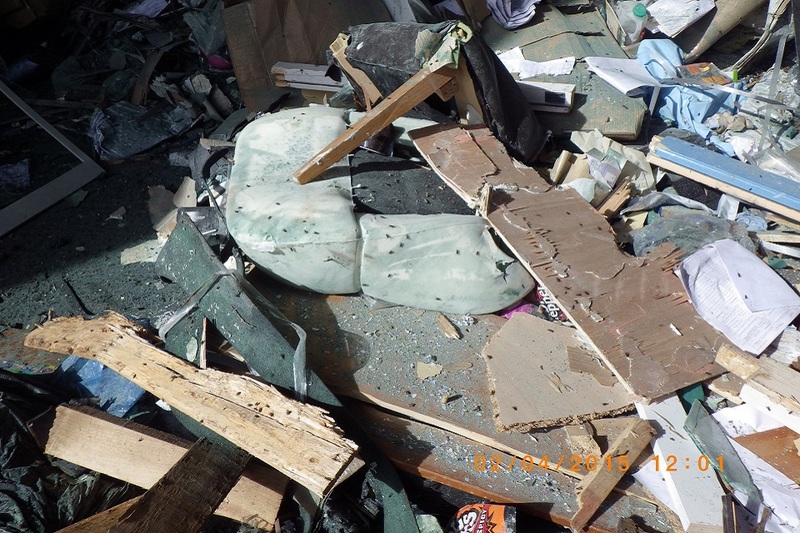 A north east waste management company has been fined thousands of pounds for breaching environmental laws leading to a fly infestation which blighted the local community. Niramax Group Limited appeared at Teesside Crown Court on Monday 15 January where it pleaded guilty to breaching its environmental permit, leading to a fly infestation at its site at Monument Park, Washington. 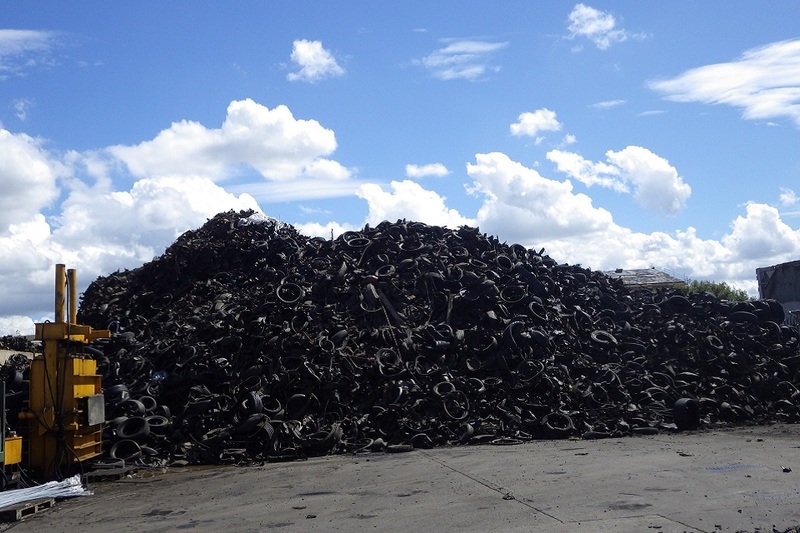 It also pleaded guilty to failing to comply with an enforcement notice by not removing waste as required at its site at Tofts Farm in Hartlepool after large amounts of waste tyres created a potential fire hazard. The prosecution follows an investigation by the Environment Agency. They were fined a total of £16,000 and ordered to pay costs of £10,000. Lee Fish, prosecuting for the Environment Agency, told the court that at the Washington site a pre-arranged audit took place on 2 April 2015 where Environment Agency officers discovered a fly infestation. Two of the bay doors to the waste shed were not operating satisfactorily which caused problems with pest control measures. Waste was not sufficiently divided between the four bays. A second visit on 9 April saw the flies still present both outside and inside the waste storage shed. Efforts had been made to empty the waste from the bays. A visit on 12 April saw the site and issues had been cleared. During the investigation Environment Agency officers spoke with neighbouring businesses and residents which confirmed the impact of the infestation. At Hartlepool, where Niramax treats waste tyres, the Environment Agency originally attended the site in June 2015 after receiving complaints about dust. On 28 July an Action Plan was signed by the operator to resolve a number of permit breaches, which included a dust management plan. And the large amounts of waste tyres on site were to be stored within bays in accordance with permit conditions and fire prevention guidance. The operator agreed to return the site to compliance by 30 November 2015. In February 2016, Environment Agency officers attended the site to assess its compliance with its permit. It was noted the site was still operating as it was in June the previous year and the bays were still buried under piles of waste tyres. An enforcement notice was served on the company to clear the site of tyres by 14 June, 2016. 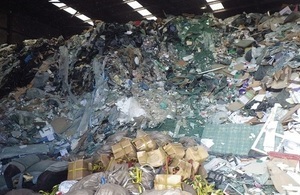 On 15 June the Environment Agency visited the site, and while the amount of shredded tyre waste had reduced permit breaches were still evident – waste was not contained in the bays and no fire breaks were noted. The bays were capable of storing 1490.4m3 and the contents were measured to be 2461.71m3. Piles of waste tyres at the Hartlepool site. The company told the court that they had been caught out by an unseasonably sharp rise in temperature. This meant their fly suppression methods proved inadequate. At the tyre site they suffered when a fluctuation in the market made it more difficult to remove the shredded tyres from the site. They said they had done everything in their power to comply with the enforcement notice. Environmental laws exist for a reason – to protect the environment and communities – so it is vital that waste operators meet the conditions of their permits. In both of these cases there was a negative impact on the local areas, which is extremely unpleasant and unacceptable and not something communities should have to endure. We always treat operators fairly and ensure they understand the potential impact their activities can have, and work together with them to help bring sites into compliance. At Hartlepool we gave Niramax ample opportunity to bring their site back into compliance, and at Washington we gave them five days to act on what was a serious fly infestation. But they repeatedly showed little regard for the detrimental impact on their neighbours and the environment. And during our investigation they even described our actions – to protect the environment and the community – as ‘nit picking’. I hope this case reassures our communities that we will do everything possible to ensure operators comply with their permit, and take enforcement action when they don’t.